This Paddle Canada course is intended to build the foundation of knowledge and skill to SUP safely and with confidence. This is the prerequisite to the Paddle Canada Advanced SUP Skills Certification course and part of the journey to becoming a Paddle Canada Instructor. For a more details breakdown of the skills covered in this course check out the Paddle Canada website HERE. DATES This can be custom booked any time. Ask us how to make your clinic or lesson an official certification! ​This is a Paddle Canada Basic SUP Skills certification course. This courses is intended to build on the skill sets acquired in the Intro course to prepare you for more advanced paddling conditions and improve your paddling efficiency. 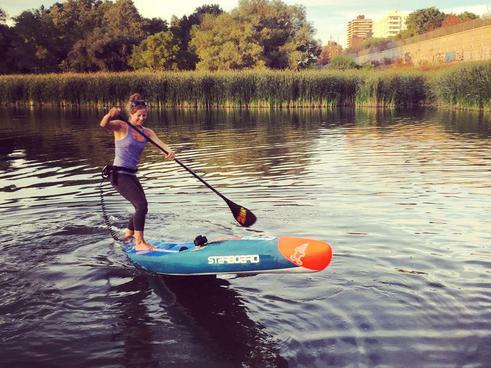 This is the final prerequisite to the Basic Flatwater SUP Instructor Certification course. For a more details breakdown of the skills covered in this course check out the Paddle Canada website HERE. DATES See below for course options and dates. This 4 hour course bundles the Intro and Advanced SUP Skills Certifications into a single course and is best suited to individuals that have prior SUP experience and the aspiring SUP Instructor. It is intended to give students the opportunity to be the student in a Paddle Canada Basic SUP Skills Course (which is what aspiring Basic Flatwater SUP instructors will be certified to teach) as well as to develop their advanced skill sets which is a prerequisite to becoming a Paddle Canada instructor. This course can also be taken by those keen to develop their skills beyond the basic level! a greater chance of success with the advanced portion. DATES Saturday May 11, 2019 - JUST ADDED! Saturday May 18, 2019 - SOLD OUT! ​ Saturday June 8, 2019 - SOLD OUT! Here are The Paddle Coach we have been proudly offering Paddle Canada SUP certification courses since 2010. Our team of instructors are fully certified and have over 15 years of experience in their field as both athletes and professional coaches. We live and breathe what we do and are constantly developing new and engaging ways to pass along our knowledge to others. 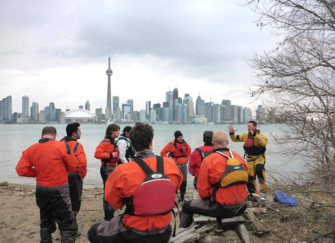 If you would like to advance your skills further through a Paddle Canada course, or become an Instructor yourself, check out our course listings below. 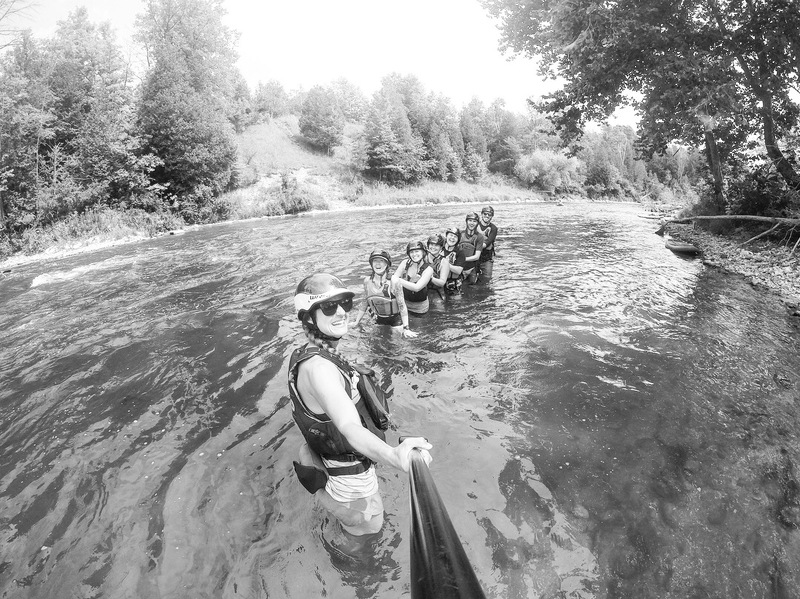 This Paddle Canada course is intended to build the basic foundations of knowledge and skill to SUP safely and with confidence on moving water. This is the prerequisite to the Paddle Canada River 2 Skills Certification course. For a more details breakdown of the skills covered in this course check out the Paddle Canada website HERE. Paddle Canada River 1 Skills Certification upon successful completion. Email us at jessica@thepaddlecoach.com to be the first to be notified. This River 2 SUP Skills weekend course is designed for those that have their Paddle Canada River 1 SUP Skills Certification, have spent some time on the river dialing in these skills and are looking to take their river SUP to the next level! Course location will be the stunning waters of the Lower Madawaska River. Day 1 of this course will be spent at a park and play spot where we'll work on our eddy turns, ferrying skills and rescue technique in a class II river environment and will build on these by teaching you the jet ferry, S-turns, and how to surf a river wave. On Day 2 we will doing a 12km run of the Lower Madawaska River where you will have the chance to work on river route finding skills and will have lots of practice navigating the class I to III rapids of the Lower Mad! DATES Stay Tunes for 2019 Dates! This Paddle Canada course is intended to teach Instructor Candidates the basics of instruction and teaching techniques while still nurturing each candidates natural instructional style. 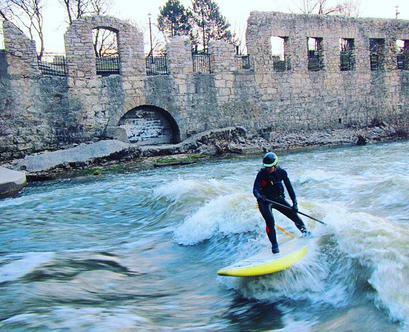 Candidates should have solid Basic and Advanced SUP Skills prior to taking the Instructor Certification course. Upon successful completion of the written and practical components of the course, candidates will be awarded their 'Basic Flatwater SUP Instructor Certification'. 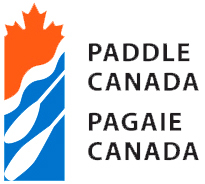 For a more details breakdown of the Paddle Canada Flatwater Instructor courses check out the Paddle Canada website HERE. This 2-day Paddle Canada course is designed for those that have successfully completed the Paddle Canada Basic SUP Instructor course and now wish to pursue their Advanced SUP Instructor certification, or those that feel they have the skills to challenge for this Advanced Instructor. The course will cover teaching principles and group management and how to apply them to both the Basic and Advanced SUP Skills curriculum, as well provide practical experience in teaching these skills. This course will also cover the how to properly administer both a Basic and Advanced SUP Skills course.